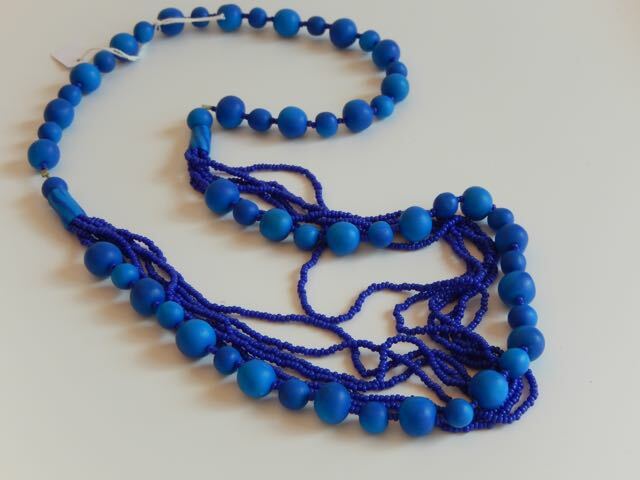 A dramatic and striking necklace made from polymer beads in fabulous shades of ultramarine, azure and pacific blues. 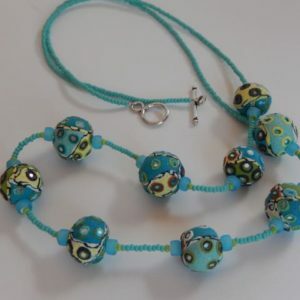 The necklace is one of our Jagariti range – meaning Awakening -and combines a strand of hand made polymer beads of varying sizes in intense shades of blues with 6 strands of coordinating Nepali wedding beads (pote beads). 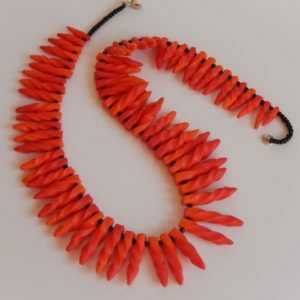 The necklace is 70 cm (27.5″) long. 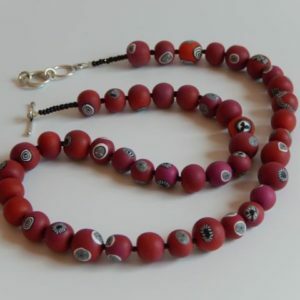 This is a design the women of Samunnat Nepal are very proud of and one they love making.